Yes, we’re still here. In addition to some planning and asking ourselves what is the best role we can play in the watershed, we’ve been quietly moving on a lot of small projects, and finishing a big one. There are still small things to do, but the Poindexter Slough project is complete. With help from a DNRC grant, FWP, Confluence Consulting and our local RE Miller, we finished the final phase of restoration. This was a huge project with help from a lot of places, including and especially the local community. Thank you all for being interested and willing to help. We’ve partnered with the Bureau of Land Management to work on restoration projects in the watershed. This summer we’re trying an approach to reduce hummocks in riparian areas and wet meadows, tracking over them with heavy machinery. We hope this will compress the hummocks, allowing the area to hold more moisture (and make it easier to walk! ), without disturbing the plant and soil communities the way scraping them with a dozer blade would. We’ve also completed a project on Badger Pass to remove encroaching conifers, preserving sage brush habitat. 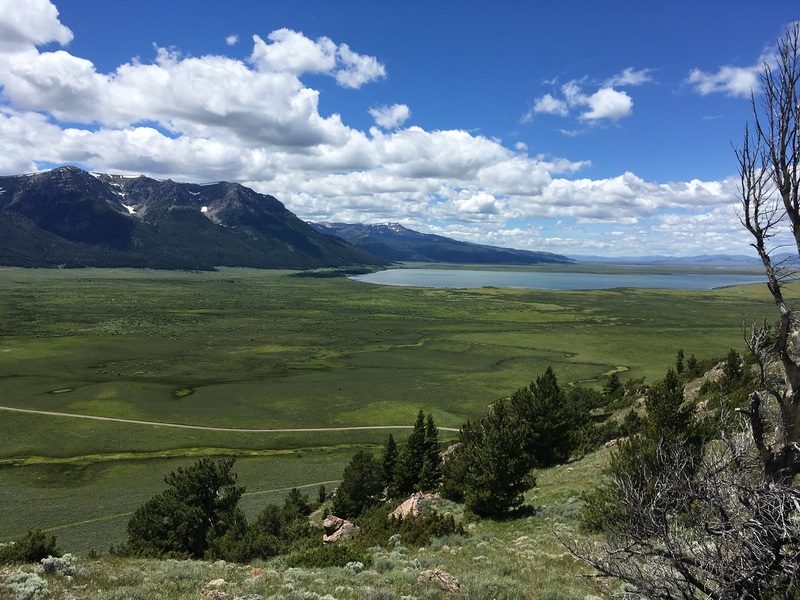 We’ve been working with a great group comprised of state and federal agencies, private organizations and local landowners to preserve the sagebrush steppe landscapes that dominate Beaverhead County. This work includes conifer removal, wet meadow restoration and riparian restoration. This spring you all noticed the high flows in the Beaverhead. This was due to a few things. It was part of the Beaverhead flushing flow, used to mimic spring runoff and to move the sediment Clark Canyon Creek is known to dump into the river. Also, because of snow melt and spring rain, Clark Canyon Reservoir had filled to a level where it was getting into an area reserved by the Army Corp of Engineers for extreme flood events. They asked the Bureau of Reclamation to continue to release as much water as possible until the reservoir levels dropped below that flood reservation level. We know it made fishing difficult, but we’re excited to see the other effects it had on the river. Being a “dam regulated” river, the Beaverhead doesn’t see the fluctuations and extreme events which tend to annoy people, but keep the river healthy in the long term. The high flows we saw this spring should have moved a lot of sediment, and hopefully deposited it in places where willows, cottonwoods and other riparian vegetation can take root in it. We’re going to keep working as hard as we can to keep the river healthy in a way which doesn’t hurt our local economy and way of life, and we hope you’ll work with us.